Today we’re looking at more luxury watch releases from Baselworld including Tudor, Patek Philippe, Zenith, Breitling, and TAG Heuer. Last week we covered the new Rolex releases, which included everything from subtle upgrades to meteorite dials and diamonds galore. Overall trends included vintage inspired updates, sunburst dials, and simple styles with mass appeal. Several watch brands represented by The Swatch Group- including Omega, Longines and Hamilton- were absent. 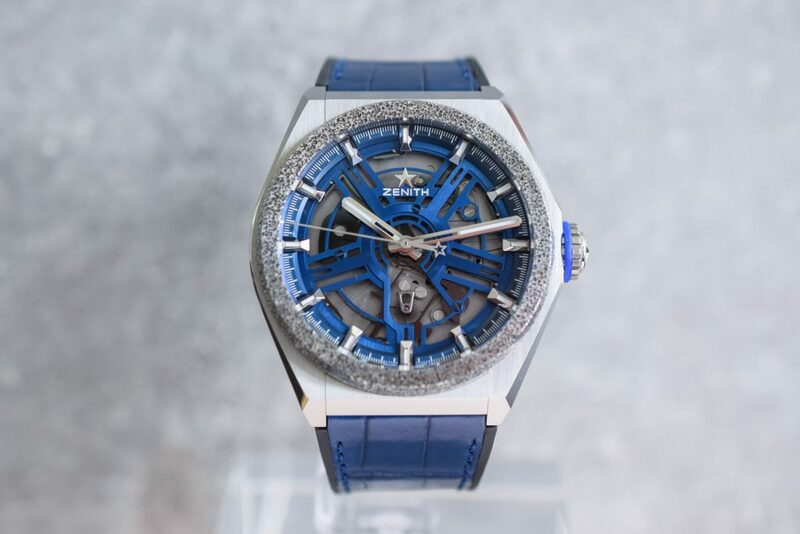 Check out more luxury watches from Baselworld 2019! 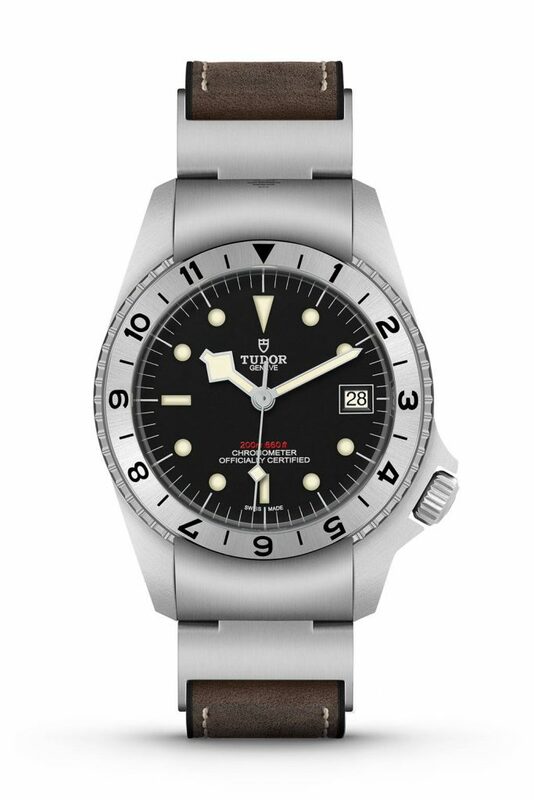 The Black Bay is a modern dive watch inspired by the most iconic Submariners in Tudor’s history, but the Tudor Black Bay P01 is born from a 1960’s prototype. It was designed for the U.S. Navy, and featured an unusual locking bezel. A bezel getting knocked out of place could actually cause a major timing issue, and proper timing is especially important when it comes to Naval missions and equipment. These original Black Bay prototypes never went into production, and many collectors believed them to be a myth. The crown is positioned at 4 o’clock on the 42 mm case, and the bi-directional bezel is fixed. A ‘claw’ mechanism is featured at the 12 and 6 o’clock positions, but only the 12 o’clock is functional, locking the bezel in place. The hour markers are painted on and it features a hybrid leather and rubber strap. 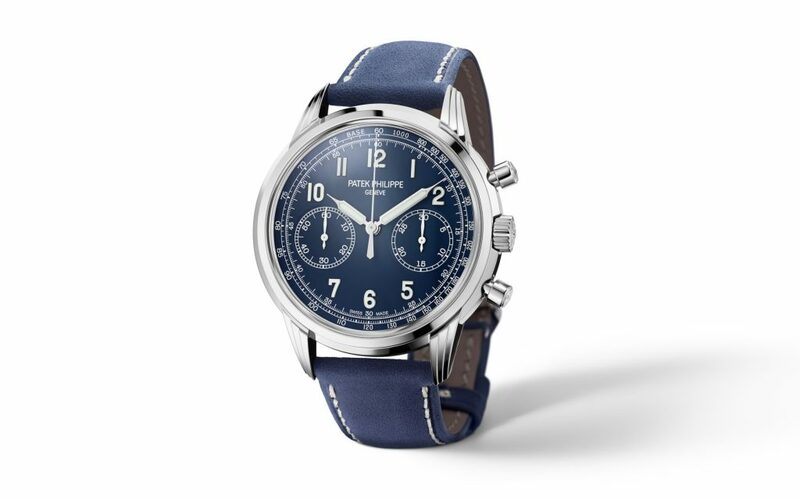 Chronograph watches have been around for ages (150 years in fact), and the first Patek Philippe chronographs can be seen in the early age pocket-watch. Modern day Patek Philippe chronographs are equal parts casual and dress watch. This model replaces Patek Philippe Reference 5170 but keeps the same CH 29-533 PS movement. Classic and modern features combine with guilloche detailing on the tip of the crowns, three-tier lugs, and a smart box sapphire. Patek Philippe embraces the monochrome trend with a matte blue dial paired with a blue suede strap. We love the sporty, vintage vibes of this model. An oscillating plate made of silicone is housed behind a skeleton dial. The plate replaces the balance wheel, balance spring, and the lever, and vibrates at ultra speeds of 18 hz. Zenith only plans to release 100 models, so hurry and claim your stake on this extraordinarily efficient and super precise watch. Breitling’s new Premier line was released at the end of 2018. The models are simple, clean, and modern looking with a hint of vintage flair. 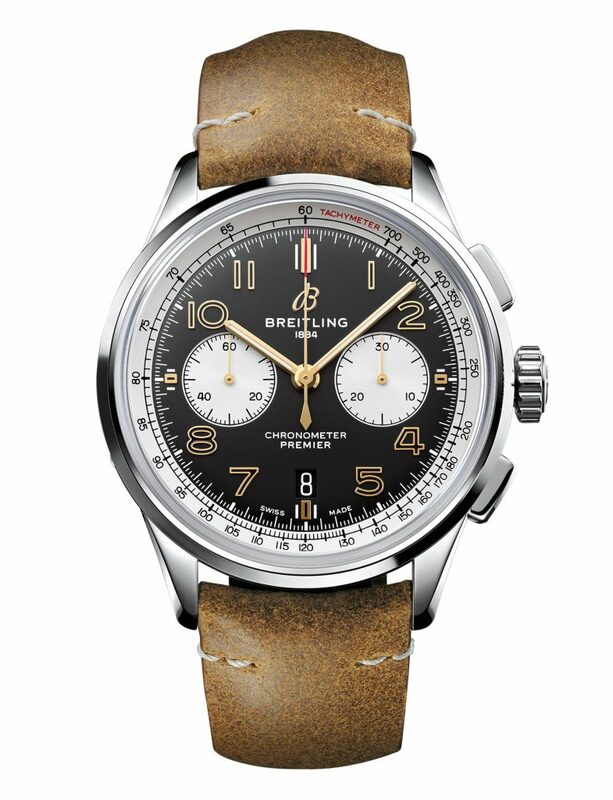 This particular model celebrates Breitling’s partnership with epic British motorcycle manufacturer, Norton. Breitling’s no stranger to collaborating with other brands, as another recent release featured Bentley. Adventure seekers and innovators alike will fall in love with the eye-catching style. A black dial, gold hands and numerals, and white sub-dials perfectly contrast with the raw leather strap. Raw leather not your taste? This model is also available with a stainless steel bracelet. The distinctive Norton logo is engraved on a plate on the left side of the case, and the transparent case back features an inscription of the Norton motorcycle and logo. The Autavia models date back to the 1930s and combines automotive and aviation elements. It’s one of TAG Heuer’s more traditional and straightforward designs. You want simple, functional, and affordable? This is your watch. The TAG Heuer Autavia features the isograph chronometer- a new regulation air spring made of new carbon composite material, which is great for performance. Models feature either a 42 mm steel or bronze case and boast a new bracelet release system. We love the classic colored dial options this year. The depth, grain texture, and airbrush finish provide the perfect amount of interest. 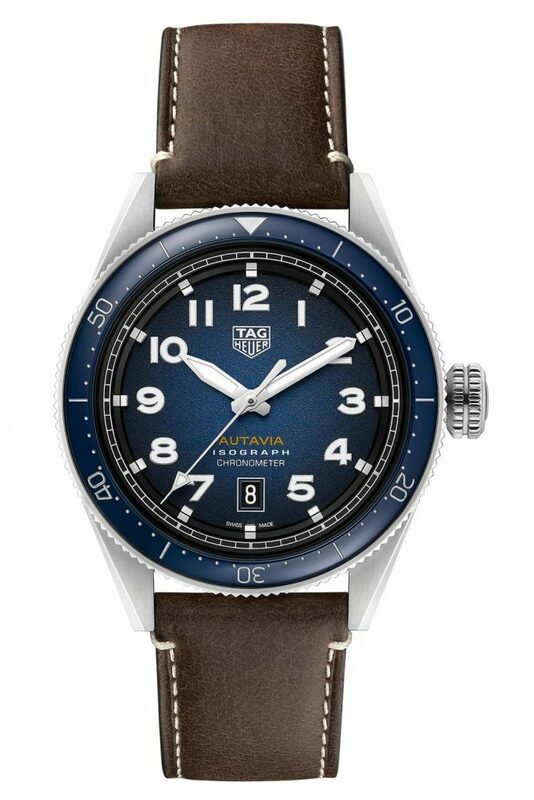 Blue, gray, and the trendy brown sunray dial are represented. If you see anything from Baselworld 2019 that you want for yourself, let us know! Jonathan’s Fine Jewelers has the ability to overnight new watch models directly to our showroom.